The first of 4 keynotes, Monday Night Live with Peter DeSantis, kicked off tonight at AWS re:Invent 2018. There’s always a big anticipation of what AWS will roll out next. There was no disappointment with several launches of new services along with a few that are coming soon. I have compiled a summary of these along with their links for you to dive deeper for a better understanding. If you find it difficult to keep up with all the announcements, you can go to Whats new with AWS for a comprehensive list. Lately I have been getting more familiar with the various services on AWS. More specifically, EC2 Container Service, aka ECS. I came across a workshop on the awslabs github page that walked you through deploying a Deep Learning Framework on ECS. I found this extremely interesting and thought I would share with you. Deep Learning (DL) is an implementation of Machine Learning (ML) that uses neural networks to solve difficult problems such as image recognition, sentiment analysis and recommendations. Neural networks simulate the functions of the brain to detect patterns in data. This allows deep learning algorithms to classify, predict and recommend as more data is trained in the network. The workshop walks you through the deployment of a deep learning library called MXNet on AWS using Docker containers. If you have been following any of my previous posts you should be familiar with docker by now. This just reiterates how containers can really simplify spinning up an environment with very little effort. The intent was to deploy a deep learning environment that would perform image recognition. At a high level I used a CloudFormation template that set up a VPC, IAM roles, S3 bucket, ECR container registry and an ECS cluster which is comprised of two EC2 instances with the Docker daemon running on each. To keep the costs at a minimum the EC2 instances were spot instances deployed by spot fleet. Spot fleet is a collection of spot instances. This is what the deployed environment looks like. Once the stack was complete I built an MXNet docker image and pushed it to the EC2 Container Registry, aka ECR. 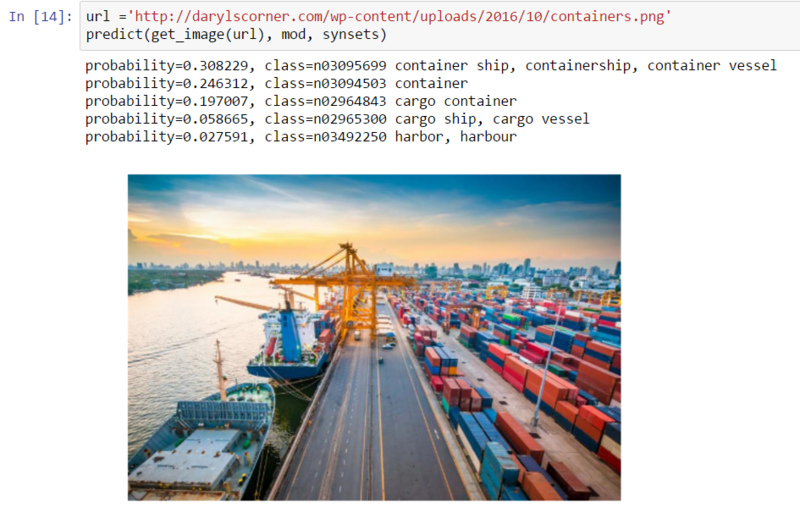 Next, I deployed the MXNet container with ECS that allowed me to perform image classification. Here is the results of an image that I fed into the model. Hopefully this gives you an idea of how powerful Machine Learning can be. Can you think of ways that this could be useful? I hope this has been enlightening for you. If you are interested in learning more about this or testing it yourself, you can find the github repo here. Today, AWS brings us another long list of new services. The keynote was hosted by Werner Vogels, CTO, Amazon.com. The theme for today was about Transformations, past and present. Vogels stresses that protecting your customers and your business should be priority number one. He states customers should be in charge, not vendors, and that includes AWS. I have listed below some of the AWS re:Invent 2016 day 3 highlights. The recording can be viewed here once made available. Below are the major announcements around new services and offerings that are either available today or coming soon. Companies like Twilio, Trainline, Mapbox, and Netflix have all figured out how to be disruptive to technology and take advantage of the cloud to allow them to not waste time on managing infrastructure and allow them to focus on their application and providing value to their customers. With over 70+ services and many more announced over the last couple days, AWS doesn’t appear to be slowing down anytime soon. It’s obvious that they are listening to what their customers want and need. 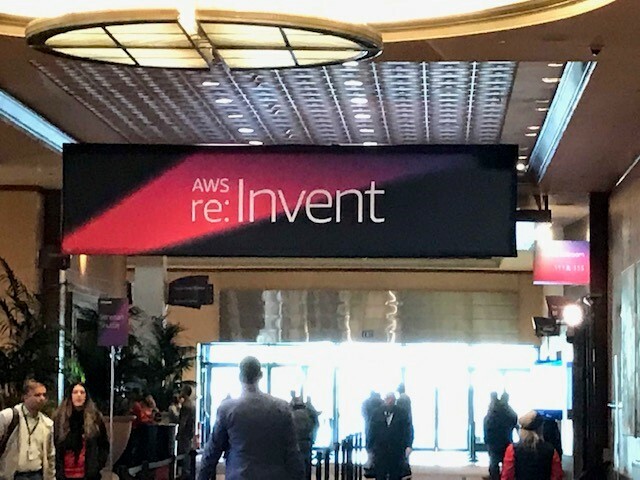 This week is the AWS re:Invent Conference being held in Las Vegas, NV. I thought I would share with you some of the highlights of today’s keynote by Andy Jassy, CEO, AWS in this AWS re:Invent 2016 day 2 highlights post. This years theme was SuperPowers. You may ask how does this tie in with Cloud Computing. Well, it was quite interesting I would encourage you to watch the recording. The recording is viewable at the link below. In addition, on Tuesday evening James Hamilton, VP and Distinguished Engineer, held a Tuesday Night Live session where he talked in depth about the AWS region/AZ/datacenter architectures along with some other interesting talks about how companies like NASA/JPL are utilizing AWS to discover the universe. The recording can be viewed here. 4 new EC2 instances with greater capacities announced in the T2/R4/C5/P2 families. Amazon Lightsail – virtual private server made easy. F1 instance with FPGAs to support hardware acceleration. Amazon Athena – perform ad hoc queries against s3 storage directly without the need for clusters. Rekognition (yes, thats how its spelled) – service for recognizing and analyzing objects and faces in images. Polly – text to speech service that supports 24 different languages. LEX (technology that fuels Amazon’s own Alexa service) – speech recognition service that is integrated with Lamda and other services. In the IoT space Amazon announced a new service called Greengrass that allows for local compute, messaging, and data caching for connected devices. Several Smart Device manufactures will be embedding this in their devices. Snowball Edge – 100TB data transfer device with on-board storage and compute, clustering capabilities, data sync to s3 storage and includes Greengrass. AWS Snowmobile – 100PB capacity, 45-ft long container transferred by semi-truck with high-speed data transfer to support exabyte-scale data transfer. It’s pretty amazing what capabilities the cloud offers. Whether its on AWS or Azure, the services are growing by the day. Let’s not forget Google either, although they have a ways to go they are actively deploying datacenters with more services coming online. It’s pretty compelling when you hear the stories of companies like NASA/JPL and McDonalds and how they have embraced the cloud. For those companies who wish to stay relevant and to be able to compete in the market, you have to learn to to evolve your business. For those companies who refuse to participate in the cloud revolution, its only a matter of time before you lose to your competition. The cloud brings us reduced cost, scalability, agility, automation, and allows us to innovate at a much faster pace. The transformation from traditional to digital is upon us. With the amount of services being offered in the cloud, its’s no longer If something is possible, but more like when and how it can be done. I hope this has been as enlightening for you as it has me.